On The Beaches of Fort Myers & Sanibel, Islandology is always within reach. Islandology is about being comfortable with your surroundings and enjoying all the simple pleasures that come with a day at the beach or a night under the stars. 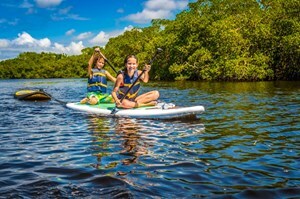 Whether it's island hopping or kayaking through the mangroves, life on the water is essential to Islandology. Warm, Gulf of Mexico waters bring the perfect souvenirs & seashells. Thousands wash ashore every day on Sanibel Island alone, making it the shelling capital of the world. Nature is a large part of Islandology, too. Hundreds of uninhabited islands dot our coast, each with their own ecosystems. No high-rises and big crowds here. You'll find endless white-sand beaches, lush wilderness and exotic wildlife. More than just nature, Southwest Florida has its own unique blend of city life and island living. 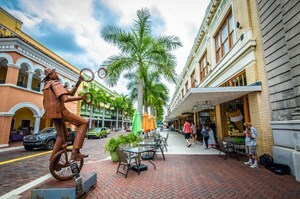 Downtown Fort Myers' River District has its own thriving arts and theater scene with several galleries and theaters downtown. After hours, you'll find fun nightlife activities, delectable cuisine, and delicious drinks provided by expert mixologists. With so much to do, it's worth the time to stay awhile and get the most from our Islandology. 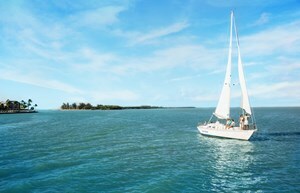 Order your free Lonely Planet guidebook and start planning your trip at FortMyers-Sanibel.com.